i am currently suffering from PCD – post-concert depression. a couple days ago i had the almost once-in-a-lifetime opportunity to see one of my favourite bands EVER onstage, live… their real-life, awesome, attractive selves. you just may have heard of them before, with fantastic baby. no? i’m sure you know of PSY then (hello gangnam style) – they’re managed by the same company. and don’t worry, you will be acquainted soon enough. yes? I LOVE YOU LET’S BE FRIENDS! 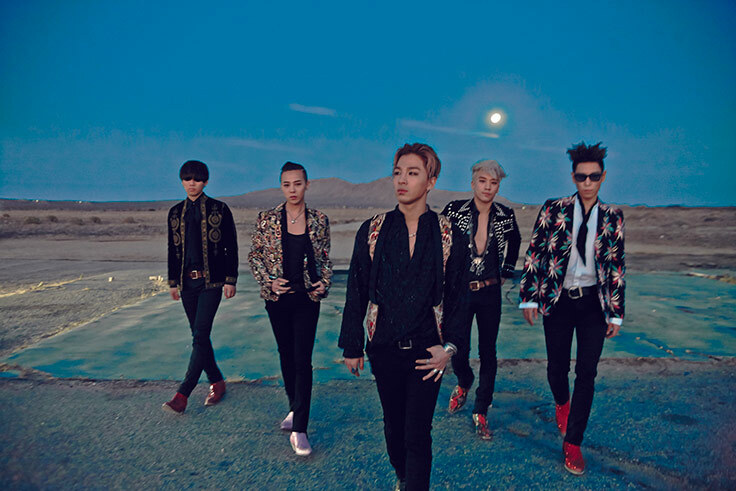 the band is none other than the korean pop group, BIG BANG! yeah they’re pretty much the top there can be in terms of k-pop boy bands. oh right, i should give you a background run, huh? they debuted in 2006, their music is pretty much an eccentric twist on hip-hop, their members are cool. just look at how much information their is on their wiki page (of course, this is just a starting point)! i love all the members, but if i had to choose a bias (favourite member) it would have to be GD. all that talent, all that swagger. also, he was the one who got me into the group in the first place. SO yeah i got to see them on tour! MADE 2015 world tour. and legitimately “world” because they went to/are going to north america, oceania (as in australia), and asia (ofc). the only large continent they’re missing is europe (one day, fellow VIPs, one day you will get to see them in all their glory). a little background about me and the group. i got to know them back in 2009 – they were the FIRST KPOP GROUP that i got into. been a fan of them ever since, though because they’ve been kinda off from the radar for three years, the feels kinda disappeared, unfortunately. but not to worry, they came back after the concert! today’s focus will be doubling as event as well, sorta. first up on the playlist is their setlist for this tour aka all their new & newer songs + a couple slightly older, but VERY POPULAR songs. lesgo! please, let me know which one was your favourite! next up: some of their solo songs that i like, that weren’t already featured in the playlist above. wedding dress (taeyang) – OF COURSE! okay, i promise you i’m not being biased. it’s just that some members have more albums (*cough* GD *cough*) than others. there are some other fantastic songs in their albums that i didn’t include, because i wanted them all to have music videos – you should definitely check them out! verdict: big bang is THE BOMB. go listen to them. “i don’t understand what they’re saying” isn’t a good excuse not to because heck… so many of their fans (myself included) don’t understand a thing they’re saying. they don’t have one particular style – some are eccentric, some are ballads, others are perfect for groovin’ to at parties… so much variety! i hope you found at least one new favourite song from this extensive list tonight.